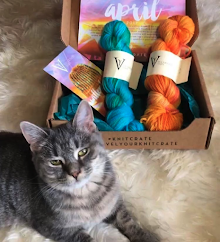 Who here gets yarn subscription boxes? And who here gets the projects done?! 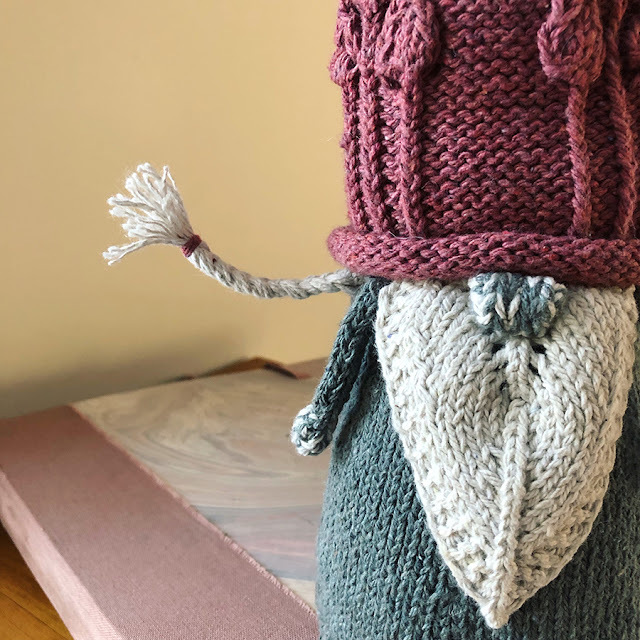 😋 For those of you who don't know, a "yarn subscription box" is a surprise box you get every month filled with yarn, a pattern -- and sometimes a giftie (depending on the type of box you order). I've been getting different types of boxes from the company KnitCrate for over a year, and I genuinely enjoy it. Sometimes I rip it open right away, but sometimes I take my time and open it veeeeeery slowly. 💰 Since then, I've become a KnitCrate affiliate and would like to share a discount with you. Try any type of box here for 20% off using code "DK20" -- it's free international shipping! Back in September (don't judge lol! ), I received a box that was PARTICULARLY enticing. (Shrimp thought so, too). This was a stand-in card -- I got that box super early for a review! This jewel blue squooshy worsted certainly leapt into my hands! 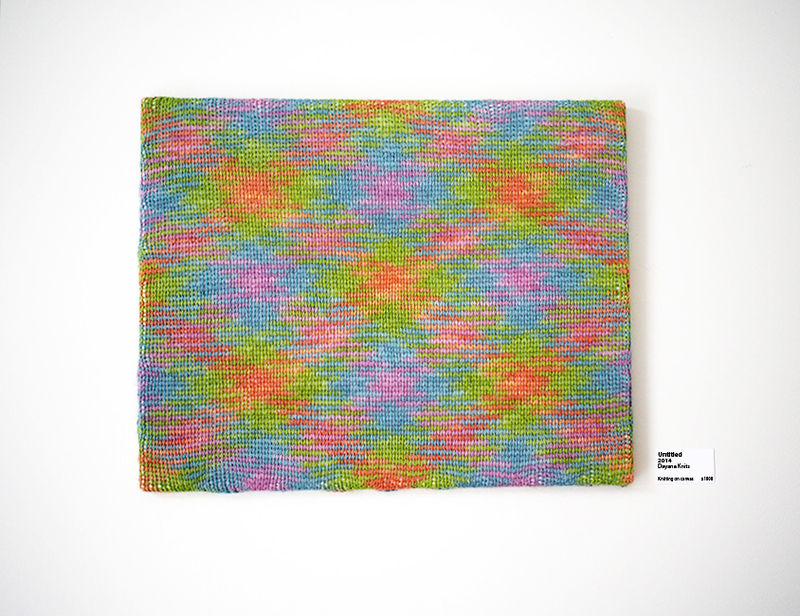 Let's face it, you just can't knit up every box you get in a timely manner. It's not unusual (yes, it's ok!) to store your new yarn lovingly and patiently wait for the next box to arrive. And you'll know it when you see it -- it's the one that makes you tear apart your craft room looking for your swift one millisecond after opening the box! 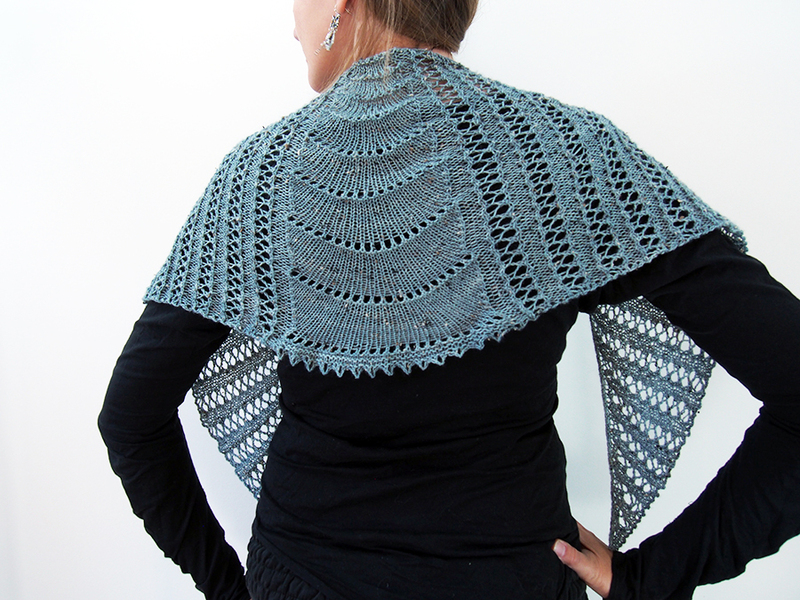 THAT was this stuff, paired with the lovely Fleck shawl by rhyFlower Knits. 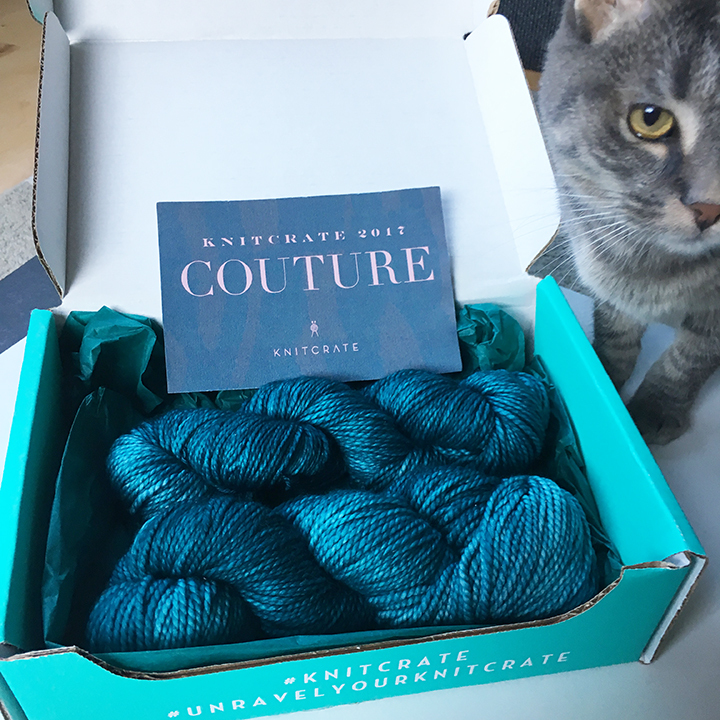 Since that box, I've been blogging on the KnitCrate blog about the standard subscription crate like this one, giving YouTube video tips that could be used for either the included pattern or any other pattern you might encounter. That was really important to me. I always want my tips to be universally useful! I also try to keep my tips short and sweet -- say no to endless introductions! The blog post for this crate included something you might want to know... how to rewind a loose skein that may not have survived shipping! 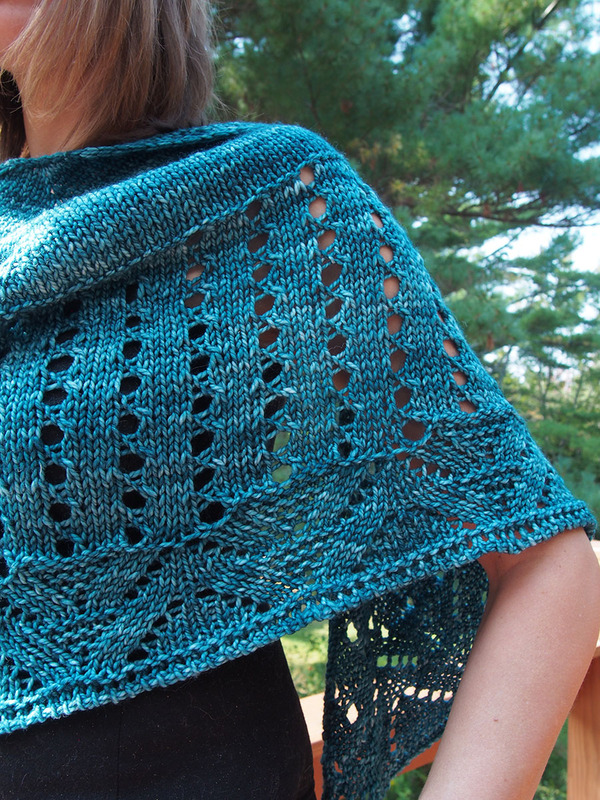 Fleck was a deceivingly simple shawl and a true pleasure to knit. 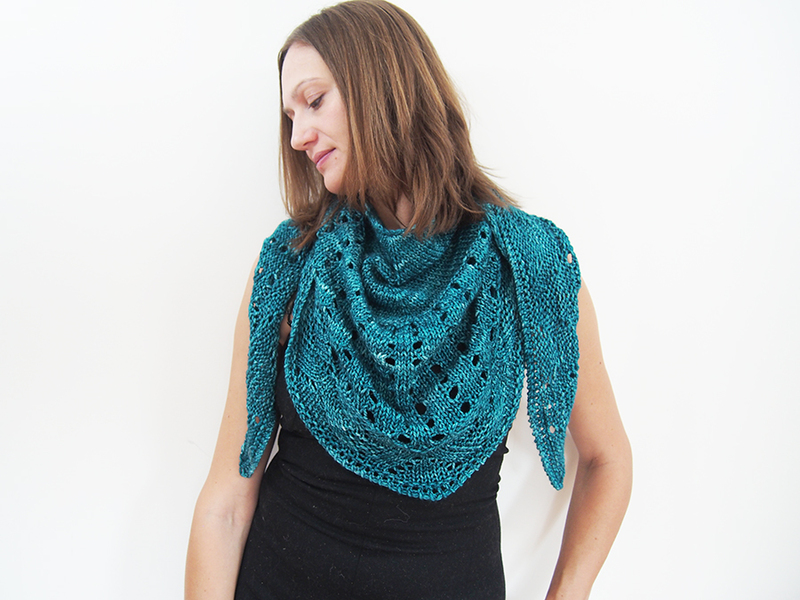 Hey, if you want to feel good about yourself, try knitting lace in worsted weight yarn. It's so fast! And squooshy! 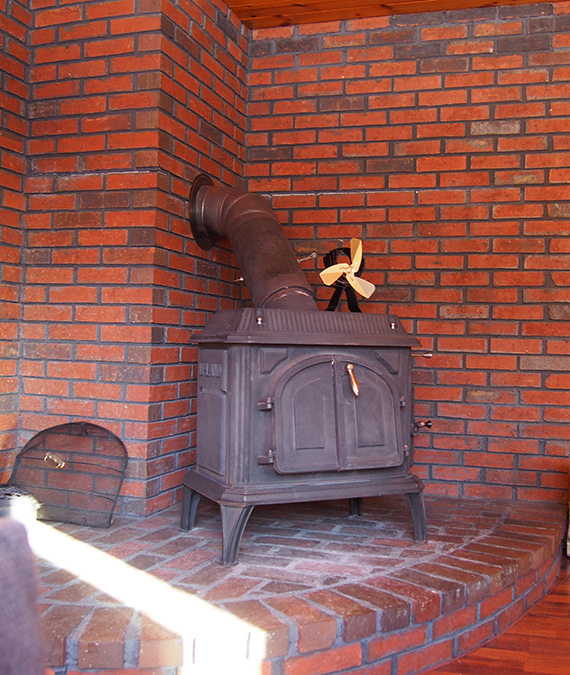 I'm usually using laceweight, or even cobweb weight. 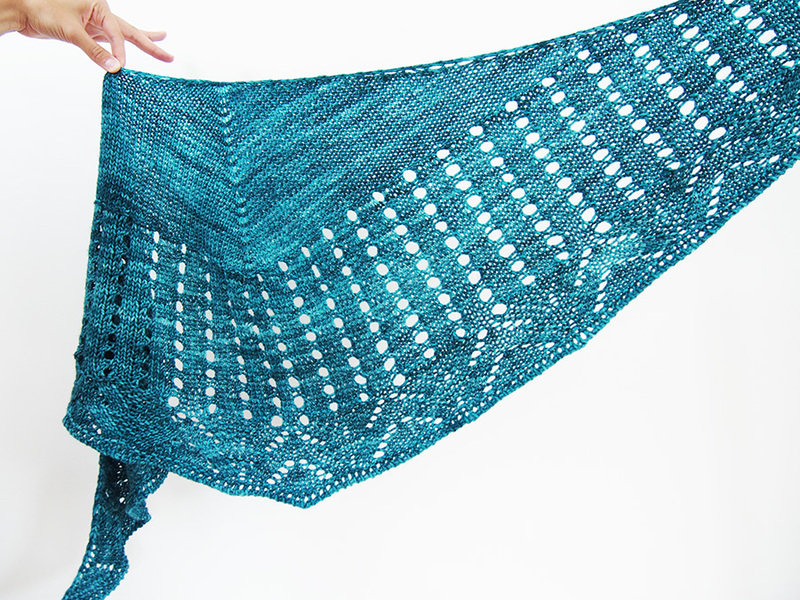 The shawl starts with a small number of stitches (not a garter tab) and increases down the center and edges as it moves toward the border. 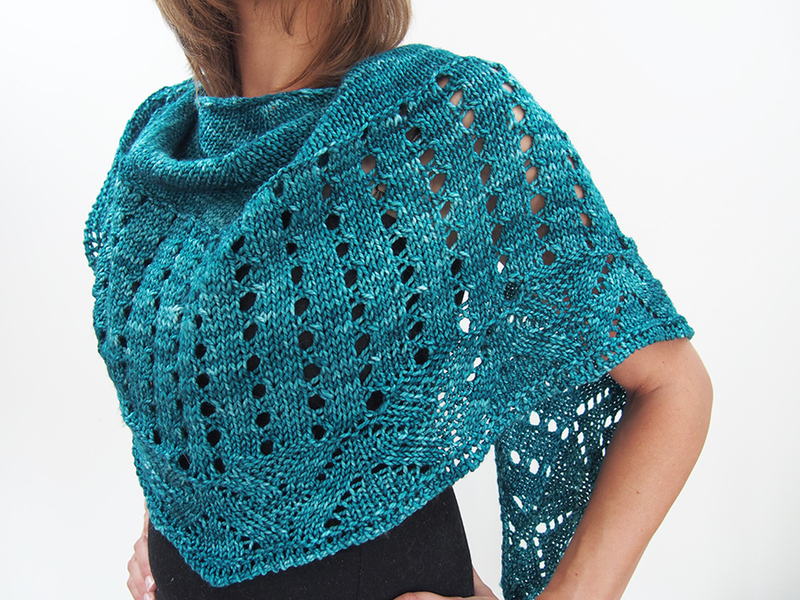 Do you see the tonality and almost undyed regions of the Vidalana Delight Worsted yarn? I'm one of those people that loves that. 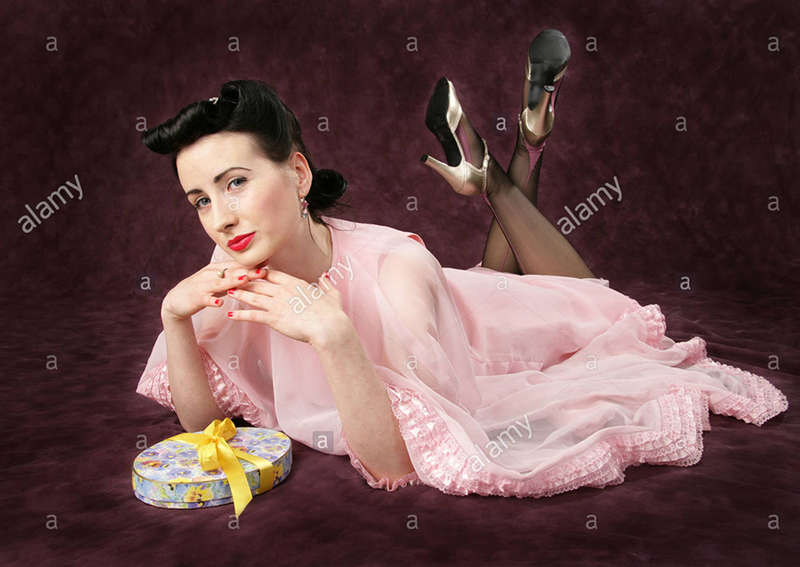 I couldn't quite leave the pattern alone, as is my... ahem... tradition. 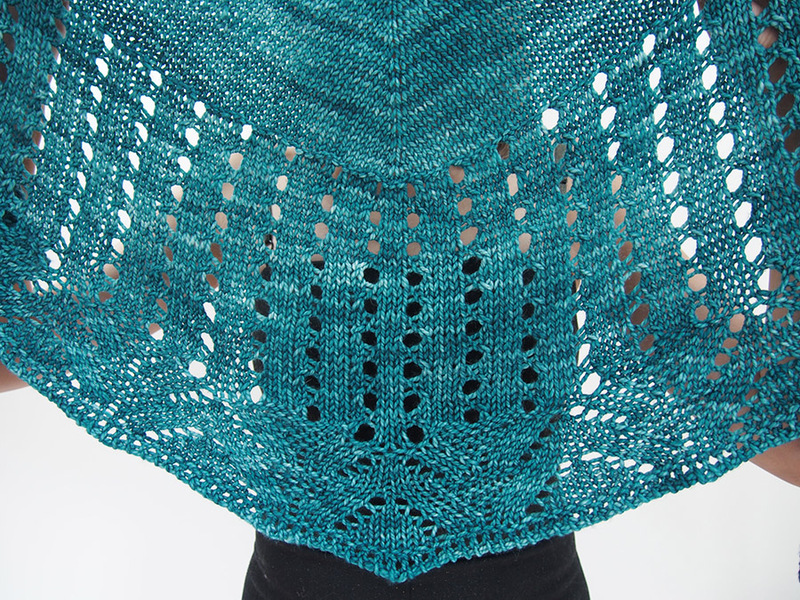 I really don't like any chance of curling shawl edges, so I changed the border a bit to add more garter stitch. You might be able to see it in between the Vs. I also added an extra row of garter stitch at the very bottom and cast-off in knit ON THE WRONG SIDE to seal the deal. Try it sometime! 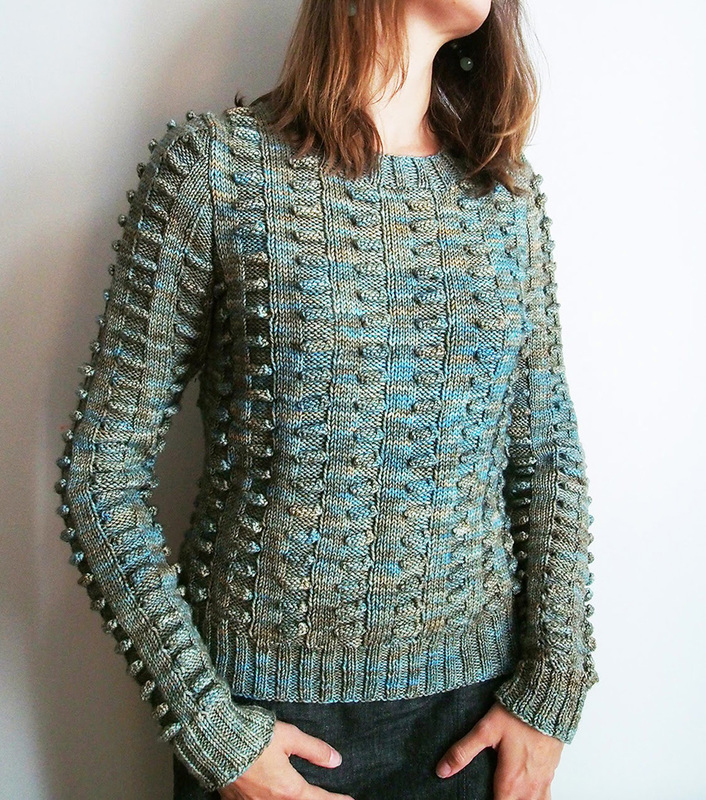 If you're tempted to try a KnitCrate, I'll save you some scrolling back up! Click here and use code "DK20" for 20% off! You will! For things like this, it's easy to give it a try. You just unravel one row if it doesn't work! Beautiful color and you look darling!